On Wednesday I'll be driving to Washington DC to participate in this year's AWP. I haven't been since 2007 when it was in NYC. I thought that one time would suffice for a lifetime, but then I didn't have Terrapin Books. Also, I was invited to be on a panel this year and since I have never served on one, I thought I should give it a try. Then I thought, too, that this would be a good opportunity to introduce my press, some of our books, and some of our poets to the poetry world. So I forged ahead. I have a full schedule. I'll be driving as I wanted to take the books with me rather than have them shipped. I'll be staying at the conference hotel, the Marriott Marquis. Hideously expensive so it better be nice. It's at least very conveniently attached to the conference center—there's a covered concourse leading from one to the other. Once I arrive on Wednesday, a valet will park my car; I'm not allowed to park it myself. That's $55 per day! Outrageous! Then I can't go into the garage to get anything out of my car—have to have a valet bring the car out and then back in—so I'll have to unload all my stuff when I arrive. I hope I can find someone to help me lug my stuff inside and then up to my room. Books are heavy. In order to facilitate introducing the press, I booked a table in the Book Fair. I'll be sharing that with Storyscape, a journal. The table is #525T. Come visit and check out our books. The panel I'm on is on Thursday, 4:30-5:45 PM. 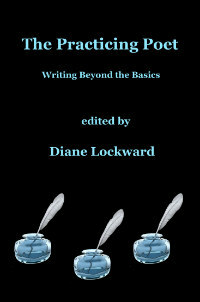 It's called "The Independent Press Anthology: Focusing, Editing, Organizing, Designing, Publishing, and Marketing," and will be moderated by Lucille Lang Day. I'm one of five editors/publishers. The others are Wendy Barker, Bryce Milligan, and Claire Ortaldo. Look for us in the Supreme Court Room (level 4), Marriott Marquis Hotel, 901 Massachusetts Ave. These three poets will be followed by a group reading for The Doll Collection. 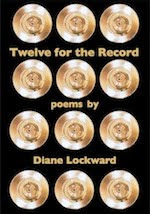 Poets include Kim Bridgford, Jessica de Koninck, Lori Desrosiers, Roberta Feins, Ann Fisher-Wirth, Kelly Fordon, Alice Friman, Donna Hilbert, Julie Kane, Lori Lamothe, Christina Lovin, Kim Roberts, Hayden Saunier, Enid Shomer, Lauren Goodwin Slaughter, Elaine Terranova, J. C. Todd, Kristin Zimet. Please join us! Should be fun. I hope I survive Thursday—very full day. Please stop by, get a book, and have it signed.